By now you should be familiar with the name Jan Dellinger… but if you aren’t, he worked for the York Barbell Company for over 25 years — where he was Bob Hoffman’s right hand man, assistant editor of Muscular Development Magazine, and even shared an office with strength legend John Grimek for a number of years. He’s caught more than a few workouts with past Mr. Americas, written dozens of training articles for several major publications and sold more quality barbells than you could shake a stick at. Well I’ve known Jan for a long time and we have been corresponding by email for the last few years now. Over the course of our conversations he would often write up some interesting story which he saw or was a part of while he worked at York. Jan had also been watching the website with great interest and a few of the topics I have written about got his creative fires going. Last fall Jan asked if he could write up a training article or two that might be posted on the website. Of course I agreed and a few days later Jan sent something over… It was a detailed article on sandbag training. Jan had also mentioned that he had a few other topics that he would like to cover, and, remembering the material he had written from our correspondences,I suggested that I would be delighted to collect this material into book form. I told Jan to just go wild and write about anything that he saw fit. For the time being though, Volume I is now ready to roll, and once it was all said and done it turned out even better than expected. Where it All Began… How Jan started working at York Barbell and Grimek’s unique interview” process… what it was like editing Muscular Development Magazine and sharing an office with John Grimek… how Jan met Dr. Ken Leistner… adventures through the strength world, NFL weight rooms, lifting championships… and much more! Behind the scenes at York Barbell… Who are celebrities who have shown up (some announced, some unannounced) at York… and what happens when they do? You want York Barbell history? — It’s in there. You want sandbag training? — It’s in there. You want grip training advice? — It’s in there…. 20 Chapters, 8-1/2″ x 11″ Size, over 51,000 Words, Sample workouts, Recommended Reading List, Glossy Cover, Printed on heavy weight paper, No pictures. The Dellinger Files Volume I is in stock and ready for immediate shipment. Get your copy today! As the story goes, Peary Rader found an old mimeograph machine in the garbage at the school where he worked as a janitor. He took it home, fixed it up, and started putting out a magazine on physical training. There were only 50 copies of “#1” ever produced, mostly just for Rader’s friends. They liked what they saw, Peary Rader edited and produced every issue of Ironman for the next 50 years! Lift No. 47. — The bar Bell Shall be taken clean to the shoulders after which the starting position shall be assumed. This position must be taken with the feet on the line, about sixteen inches apart. The trunk may be inclined forward as much as desired. A pause of two seconds is made at the starting position. The bell is then pressed to arm’s length overhead. As soon as the press begins, the legs and trunk may be bent to any extent but lowering the body vertically is not permitted. As the conclusion of the lift, the trunk shall be erect, the arms and legs straight and the feet in line. Pull the bell to the shoulders in one clean motion — same stye as in preparing to military press or jerk the weight. To fix the bell at the shoulders while leaning forward it is necessary that the elbows be inclined well forward. When the bell is in at the shoulders, place the feet in line, sixteen inches apart, the elbows well up, incline the body. well forward, and hold this position for two seconds. When the referee has given the signal, raise the trunk, bending it backward as far as possible, pushing the bell upward as strongly as you can; the back is bent as far back as possible until the bell is held overhead at arm’s length. When the arms are straight, raise the trunk, stand erect with the feet still on a line for the count. how to do it correctly than right here. that photo was taken well over a hundred years ago! Originally published in 1910, this truly remarkable training course has run through countless editions. This was the course that started it all. The author, Maxick, was the first great Muscle Control master and it served him incredibly well. Maxick developed his own unique system to add to his weightlifting… the result was a champion physique and world class levels of strength. In fact, Maxick was the third man in the world to put double bodyweight overhead with a lift of 322-1/2 lbs. at a bodyweight of only 145 lbs! Throughout the course, Maxick describes in detail how, by use of concentration, you can develop and gain deliberate control of each muscle group in the body. Detailed explanations of each technique and area of the body are provided. Highlighting the instruction found in the text, are rare, high-quality photographs of each technique in action for each muscle group. Further written tips from the master himself show you exactly what to do and how to do it.. 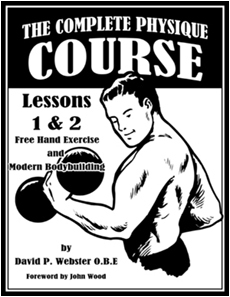 Muscle Control should be an important part of everyone’s training and has been to some of the greatest names of the past: Eugen Sandow, Otto Arco, John Grimek, Sig Klein, John Farbotnick, and Marvin Eder, just to to name a few. John Grimek appeared on the cover of Iron Man magazine ten times. The January, 1954 issue shown above was the final occasion. Grimek was 44 years of age at the time and clearly hadn’t missed many workouts. Eliminate confusion, develop confidence and gain bigger and stronger muscles – faster than ever before! Arthur Jones, feeding one of his baby elephants. Note the machine gun with a banana clip – this guy means business. So went my introduction to Arthur Jones and probably the only fight that Arthur ever lost … I was six years old at the time. Arthur Jones was the roughest, toughest, meanest and smartest Iron Game pioneer who ever walked the Earth and the man who revolutionized strength training forever. His ideas influenced millions of people to start training in the most effective manner possible. Now these same ideas will help YOU build TWICE the strength in HALF the time. Here, read this,” said my Dad as he handed me a thick folder full of Xeroxed sheets of paper. I was fifteen years old — just a freshman in high school — and starting to get into strength training in a serious way. I was looking for the best way to get as big and as strong as I possibly could for the next football season. So I took the folder and, without looking too closely at it, noticed that it contained a series of training articles written by Arthur Jones; a name I vaguely recalled from the past. This was a lot of material to go through and I originally intended to throw it in some forgotten corner of my room and get around to it when I had more time (probably never). The thing is, as I walked up to my room, I took a closer look at what was really inside and when I saw the first few pages, I stopped in my tracks… I couldn’t take another step. Understand, I had seen books on strength training — lots of them. I had seen plenty of training courses too, and a fair share of “muscle comics.” They were all pretty much the same … what I was reading right then was a whole different animal. Those articles were like nothing I had ever seen before. A few hours went by but it only felt like a few minutes as I made my way through the material. I read everything. When I got done, I felt 10 feet tall, like I had found diamonds as big as basketballs in my own backyard. No more confusion – I now possessed the keys to super strength. That day my life (and my training) changed forever. Strength training had never been explained to me this way before. Many of the things about strength training that I had previously been confused about now made perfect sense. Arthur Jones’ ideas gave me a clear picture of exactly what I needed to do and exactly how I needed to do it in order to get stronger. Within those pages, I learned the foundations (almost a step-by-step blueprint) for understanding the fundamental building-blocks of Strength development. All that was left was to do it, and now I had the Confidence to know I was on the right path. Many people had the same experience when they first read some of Arthur’s materials. Over four decades ago, when Arthur Jones unleashed his training philosophy on an unsuspecting world, it soon spread like wildfire. It made a heck of a lot of sense to thousands upon thousands of trainees all over the country and the world, and in practice, worked better than anything else than they ever tried. Among the many people who achieved tremendous results were Ellington Darden, a Champion Bodybuilder and Ph.D. who not only had many published training articles under his belt, but graced the cover of many strength magazines of the time. Ellington Darden got his hands on all of Arthur Jones’ articles and liked what he read. Darden eventually trained under Arthur Jones and ended up achieving the best results he had ever experienced — Darden was a previous collegiate Mr. America contest winner, so this was really saying something. Training with Arthur Jones had such a big impact that Ellington Darden has been writing about it ever since. Dr. Darden has the unique distinction of being there throughout the entire Nautilus phenomenon so he can definitely tell you the real deal. Was Arthur Jones a Genius… Or a Madman? There might be a pretty good case for him being both. Imagine stepping into a time machine to see and hear from the people who were actually there to learn the real story behind Nautilus, Arthur Jones and the whole ball of wax – Now you can! Casey Viator (Pictured) was Arthur’s top student and, at 19 years old, the youngest Mr. America winner in history, you’ll be able to read an interview all about Casey’s life and his training starting on page 124. At over 300 pages,”New Bodybuilding” is part history lesson, part training guide and one thing is for sure: there has never been anything like it before in the world of strength training. This book would be a valuable addition to your Strength library for just the Golden Age photos alone. : we’re talking hundreds of classic shots. Jim Flanagan – Arthur’s right hand man who reminisces about Milo Steinborn, the last of the oldtime strongmen; Jim describes what it was like to train in Steinborn’s Gym. Casey Viator – The youngest Mr. America ever and Arthur’s top student. 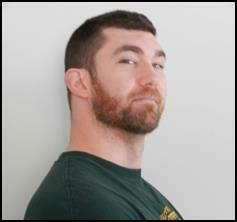 Read what Casey recalls about his most grueling exercise sessions with Arthur. Andy McCutcheon – HIT enthusiast from England, who outlines how he was able to break the British record for pushups (doing 107 in 60 seconds), and his training with Multiple Mr. Olympia Winner Dorian Yates. The Real meaning of “Old School” Training – Which probably isn’t what you think it is..
Repetition Ranges: Low, Medium, High – Which is Best? 3 reasons why split routines MAY or MAY NOT be right for you. The truth is you can only look as far forward as you can see into the past. What if you could be a fly on the wall and listen in on how some of the strongest men of all time trained? How about a look at their unique training equipment? Go back to the sands of the original Muscle Beach in Santa Monica, California circa 1948 and learn how bodybuilding legend Steve Reeves used to train at Vic Tanny’s Gym. 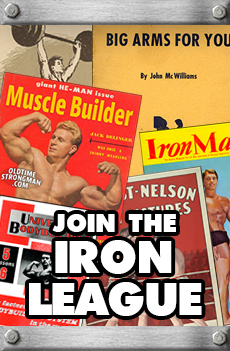 You’ll also learn about many more Iron Game greats: John Grimek, George Eiferman, Marvin Eder, Freddy Ortiz… Casey Viator, Sergio Oliva, Boyer Coe, Mike & Ray Mentzer… the list goes on and on! How’s This for Old-School Strength? Here I am doing a few wrist curls with an antique dumbbell that once belonged to the French Strongman, Apollon (Yes, that Apollon), from chapter 30, (which I helped write): Iron-Vise Grip Strength: A Fistful of Power. Find out more on page 272. One of the biggest reasons for failure among many trainees is that they never fully learned how to train in the first place. They have no clue as to why certain exercises should be done in certain ways — and the results, if there are any, are often mediocre at best. The truth is that every person in the world is essentially the same in some very fundamental ways – and every person in this world gains strength through the same processes. The principles outlined in this book will help you understand these processes which will allow your to become super strong, no matter what you are training for and no matter what equipment you are using. As you can see, The New Bodybuilding for Old-School Results by Ellington Darden Ph.D. is chocked full of valuable information. 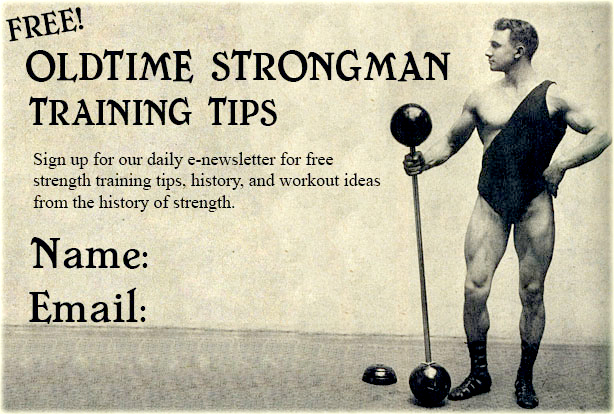 There is enough here to point anyone in the right direction for Super Strength – 300+ pages, over 40 training routines, hundreds of pictures, interviews with All-Time Iron Game Legends and more! !